In recent years, Oaxaca (pronounced waa-haw-ka), a city that shares its name with the state in Mexico, has topped many best-of travel lists—and for good reason! This beautiful and charming city in the foothills of the Sierra Madre Mountain range has so much to offer both short and long term visitors. Oaxaca City, Mexico is famous for its culinary scene, boasting seven (official) types of moles—the most famous ones made of more than 30 ingredients, including tantalizing combinations of chocolate, onions, various dried peppers, and garlic, smothering chicken, beef, or vegetables and served with fresh maiz tortillas. Oaxaca is also perfectly positioned with a number of intriguing pueblas and attractions within two hours of the city. Perhaps the most popular destinations, Hierve el Agua, which includes mineral pools and a petrified waterfall, is just 1.5 hours from the center. You can reach San Bartolo Coyotepec, where they make beautiful black pottery, and the Sunday Market of Tlacolula, known for its barbacoa and live animals, in under an hour. And the incredible pre-Columbian archaeological site of Monte Alban is a short, 20-minute ride. The expansive, well-preserved ruins are said to be the first urban development in North America! Even the barrios within the city limits offer so much to explore. For visitors who want to be close to the action, the heartbeat of the city pulses strongest in the area known as the Zocalo, a bustling square bordered by the government palace and a jewel of a church. The 18th-century cathedral is flanked by a beautiful plaza lined with restaurants, mariachi bands, and vendors selling everything from mangos cut to look like flowers to beautiful clothing and textiles the area is famous for. Staying in one of the lovely hotels in the Zocalo puts you a short walk from both the must-see Benito Juarez market and the architecturally stunning Santo Domingo Church. Just beware, on weekends the fiestas, parades they call calendas, can go well into the night! Travelers looking for a chic, less-touristy-but-still-lively experience will be called north of the historical center to the middle-class neighborhood known as the Reforma. The unassuming Reforma has a unique restaurant or cafe around every corner, where visitors have ample opportunity to sample mezcals from the region. A quieter, more residential neighborhood, the Reforma is only a 25-minute walk or 50-peso taxi ride from the city center. This neighborhood puts visitors in a great spot to sample what the city has to offer from a more relaxed atmosphere. 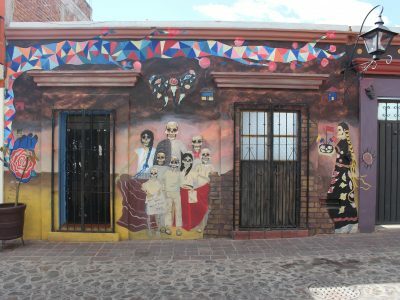 To the east of Oaxaca City’s historical center, the Jalatlaco neighborhood offers idyllic cobblestone streets lined with colonial buildings painted in vibrant blues, pinks, and yellows. A quick, 10-minute walk from the historic center, this neighborhood is close to El Llano Park, where you can see local life evolve depending on the time of day. 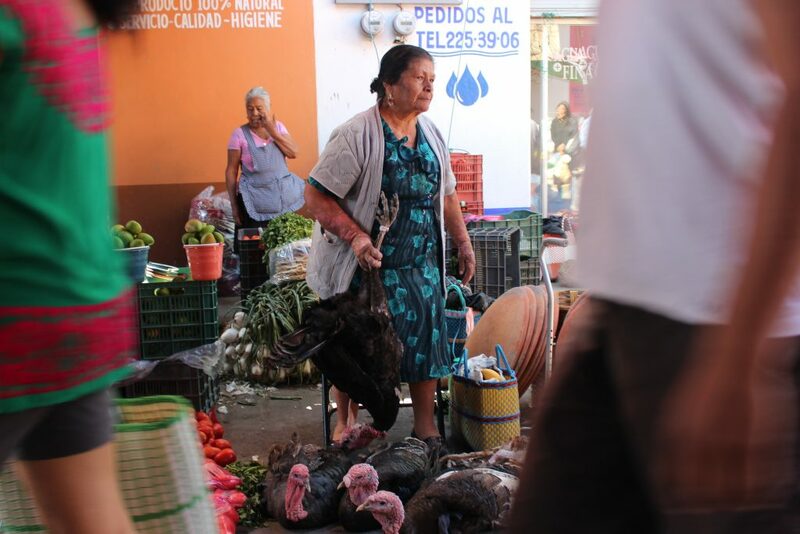 In the mornings, the park will have vendors shining shoes as Oaxacans go for their morning jogs. And as day turns to night, food vendors open up offering gringas–two flour tortillas stuffed with Oaxacan string cheese and al pastor–to the intoxicated passer-bys. The Jalatlaco is the perfect option for those looking for a quaint neighborhood where they can still want to be close to the action. No matter which neighborhood you choose, Oaxaca City, Mexico offers so much that it’s hard to leave without feeling a deep admiration for the friendly people and the beautiful culture that thrive here in southern Mexico.